A pearl necklace is one of the finest pieces of jewellery that a woman can own. The diversity of pearls available today can inspire many different looks, both classic and contemporary. Customers often ask us how to buy a pearl necklace and what to consider. The choice of pearl colours available today, with white, gold, silver, grey, black, pink, peacock and natural multi-coloured pearls, is simply dazzling. Different pearl colours will match and reflect skin tone or colourful clothes and accessories. Pearls can be cultured in a variety of shapes, including the classic round pearl, the informality of an oval shape or the individual complexity of a baroque pearl. Pearl size is also an important factor. 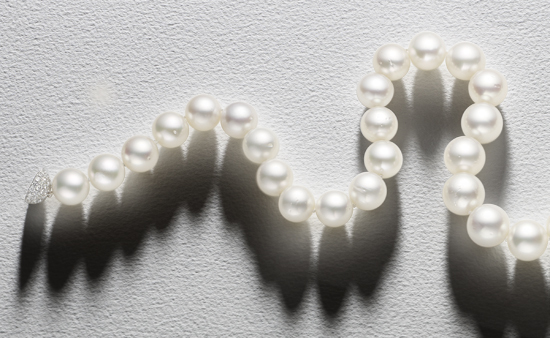 Smaller pearls with diameters up to 9 mm typically make more discreet and classical jewellery, whilst larger pearls above 9 mm will be more eye-catching and luxurious. As pearls increase in size to more than 10mm diameter, their rarity and price also increases. One way to choose the length of a pearl necklace is to consider the occasion when it will be worn. In general the shorter the necklace the more formal it may appear. A choker pearl necklace that nestles at the base of the neck is really best suited for evening wear, a long sautoir may be worn fashionably loose, knotted or long around the neck and the traditional princess length pearl necklace will sit elegantly below the collarbone for a classic and versatile look. Read more about the different lengths in our article on pearl necklace lengths. The clasp is not typically the centrepiece of a pearl necklace, however it is an important aspect to consider when buying a pearl necklace. A difficult clasp can be awkward to take on and off. A good clasp will be secure, robust and with a smooth finish. The lobster clasp, fish hook and spring ring clasps are most commonly used with strings of pearls. There are many more clasps available, including designer clasps with diamonds. Consider the choice of materials used such as gold, coated gold vermeil, silver and gemstones. Read more about our experience with different necklace clasps. 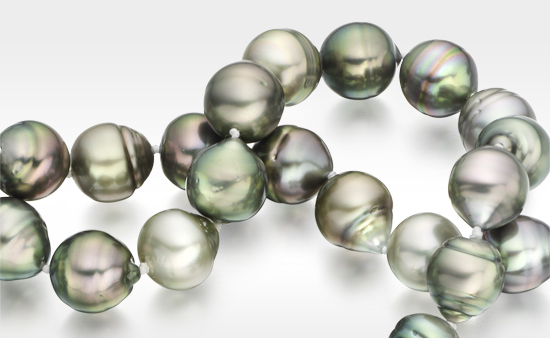 The price of a pearl necklace will vary from a few pounds to tens of thousands of pounds. Unless your budget is unlimited, you may need to compromise on certain qualities of the necklace. Consider an off-round pearl shape or reduce the pearl size as a way to reduce the price of the necklace. In our experience the allure of a pearl necklace is the iridescent shine of its pearls, so we would recommend selecting pearls that have the best lustre that will match your budget. The Winterson range of pearl necklaces and long rope necklaces offers a beautiful selection of luxury jewellery that is suitable for all occasions. 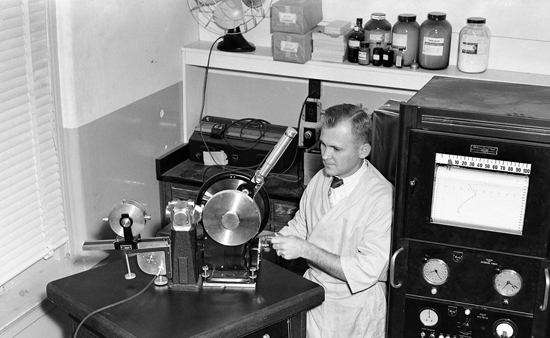 Our standards of quality are set high and we hand select our pearls, in particular looking for good lustre. Discover our necklace collections here, with luxurious South Sea pearl necklaces, exotic Tahitian pearl necklaces, iconic Akoya pearl necklaces and versatile Freshwater pearl pearl necklaces.